IRVINE, CA--(Marketwired - June 16, 2015) - Cloud based project management software provider, Project Insight, announced the release of advanced resource capacity functionality to assist project and resource managers with understanding resource needs. Capacity percent -- the percentage of a person's workday that she or he is available for project work. Utilization percent -- the percentage of the capacity percent that should be used as the ideal target utilization. If the capacity is 80% of a 40 hour work week (32 available hours), 75% utilization would target the resource's ideal allocation at 24 hours per week (75% of 32). Capacity percent maximum -- the absolute threshold that a resource should be booked and if overbooked an alert will appear. "As many of our customers work on client-facing projects, they need a reliable way to understand the overall project demand and capacity, in order to provide clients with realistic, attainable project schedules," remarked Cynthia West, VP of Project Insight. "Adding more fields for various thresholds permits them to understand resource needs in a more granular fashion." 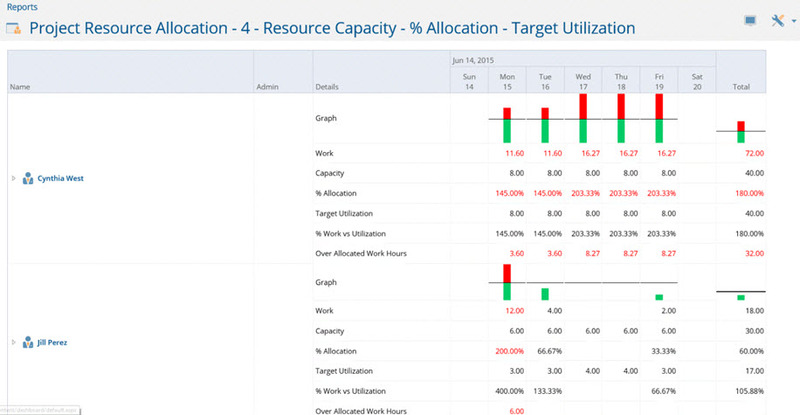 Watch a short video on the Project Insight Resource Capacity Settings. Project Insight is project and portfolio management software that helps small to medium sized organizations (1-1000 team members) centralize projects, balance resources, collaborate on project assets, enter time/expenses, track budgets and view real-time reports. Project Insight is used by IT, professional services, product development and advertising teams worldwide. Project Insight is offered in both cloud and on premise editions and is compliant with the PMBOK® Guide. To learn more, visit www.projectinsight.net or follow us on Twitter @ProjectInsight using #projectmanagementsoftware.